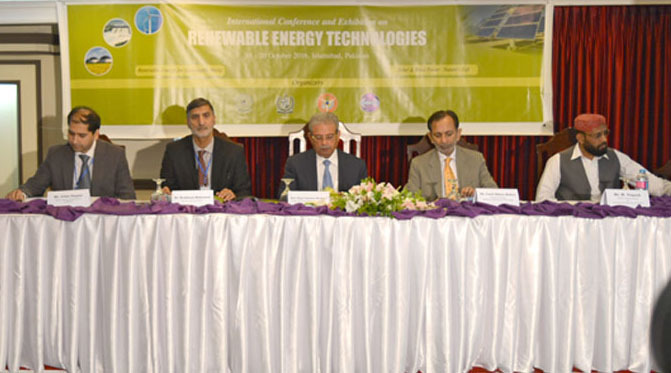 The International Conference and Exhibition on Renewable Energy Technologies (RETs) was inaugurated in Islamabad on October 18, 2016, by the Pakistani Minister for Science and Technology, H.E. Mr. Rana Tanveer Hussain. 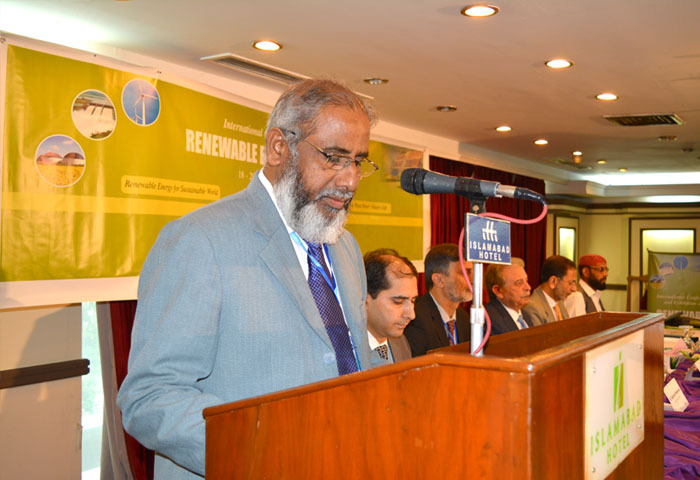 The joint three-day event of COMSATS is being held in collaboration with the Pakistan Council of Renewable Energy Technologies (PCRET) and Islamic Educational, Scientific and Cultural Organization (ISESCO), from October 18-20, 2016. The Inaugural Ceremony was attended by over 120 participants, inter alia, from, academia, industry, R&D organizations, as well as local and international speakers and other presenters, and media personnel. In his inaugural address, His Excellency considered it important to fully exploit the RETs for successful implementation of the Government’s energy policies, especially amidst the huge concerns related to energy scarcity. Noting the abundance of solar energy available with the developing countries, he considered RETs a solution to their energy security issues. 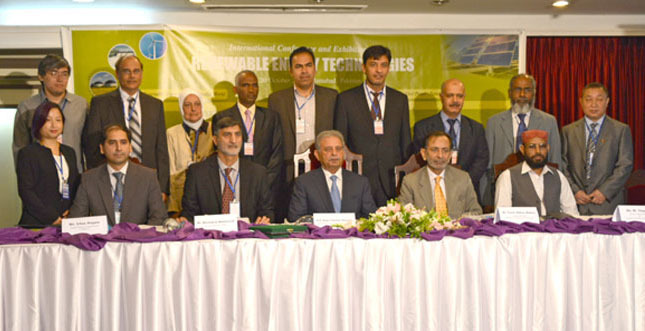 “Pakistan is endowed with abundant solar energy throughout the year, which is a great investment opportunity for foreign and local business enterprises”, said the Minister. 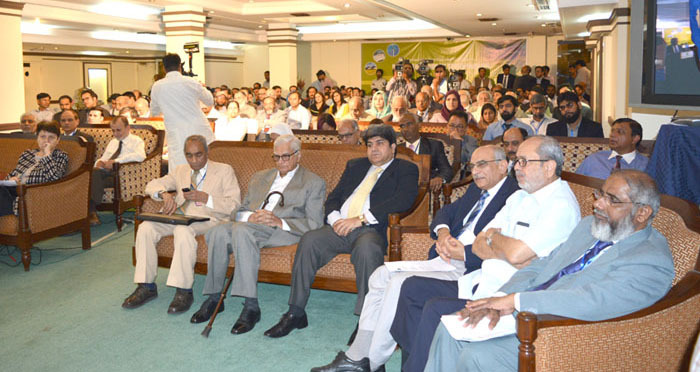 He considered the presence of eminent Pakistani and foreign scientists, academicians and experts an encouraging sign and hoped for the best outcomes of the event. The Federal Secretary MoST, Mr. Fazal Abbas Maken, was also present on the occasion. In his remarks, he highlighted the importance of advancements in RETs, especially in view of the rising environmental concerns due to rapid Climate Change. 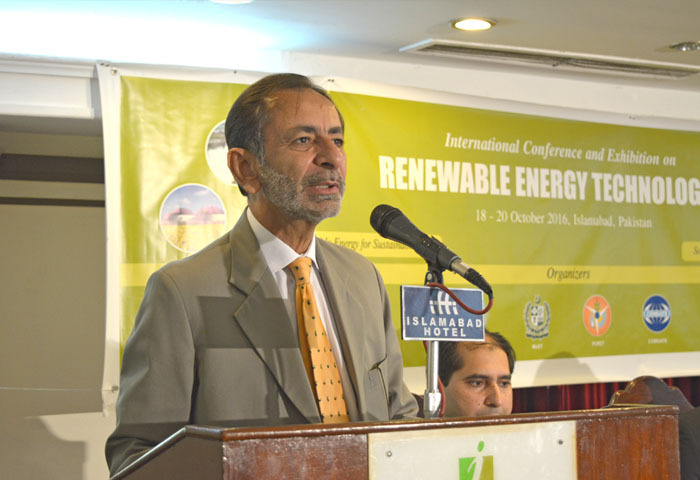 He called for more efforts to include the share of renewable energy in the total energy mix of Pakistan. Both the Minister and the Federal Secretary considered the Conference a welcome event, and hoped that the deliberations of the event would result in bringing together, academia, industry and R&D organizations to best utilize RETs for addressing major energy issues. They showed their Ministry’s strong support towards initiatives related to RETs, and urged the Academia, Industry and R&D organizations to make extraordinary efforts to fully tap the potential of RETs to address major energy issues. All three organizing partners were lauded for organizing the Conference on the theme that is of crucial concern to all developing countries and has important implications for the global environmental concerns. 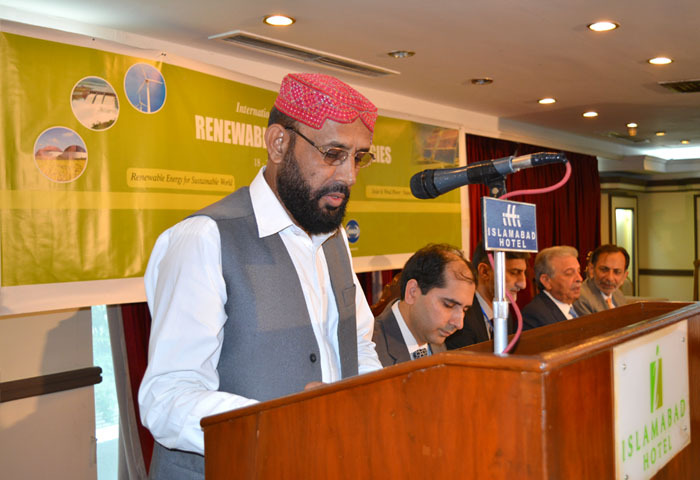 Representing PCRET, Dr. Basharat Mehmood, Director PCRET, noted that the vast renewable energy resources available in Pakistan are among the highest in the world and the Council was making all-out efforts to strengthen the area of RETs that has a lot of significance for present energy scenario of Pakistan. He hoped that the deliberations of the event would enrich the Council’s efforts with new knowledge, wisdom and best practices in the field. 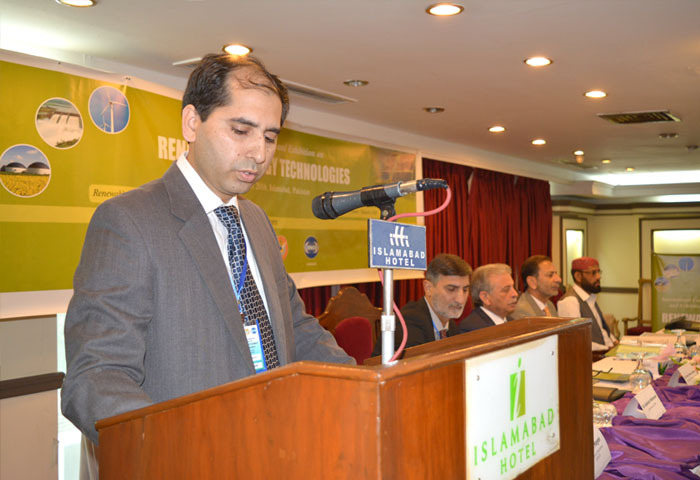 Mr. M. Nadeem Zakir, Head of Photovoltaic Division of PCRET, also spoke on the occasion. 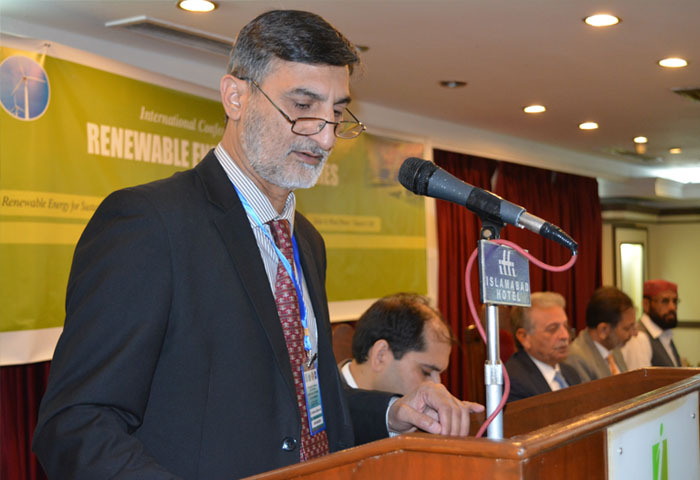 On behalf of COMSATS, Mr. Irfan Hayee, Deputy Director (Programmes), considered the theme of the event important, especially in the light of the Sustainable Development Goal-7, ‘Affordable and Clean Energy’. He noted the sizable number of registrations received for the event that also included those from 10 universities. He informed that the speakers of the event also included some from foreign countries, i.e., Egypt, Iran, Jordan, Kazakhstan, Germany, and USA. Mr. M. Yaqoob, Assistant Secretary-General Pakistan National Commission for UNESCO, represented ISESCO on the occasion. He opined that focused R&D efforts in RETs could help make environment cleaner, and energy supplies cost-effective, with healthy outcomes for public health. 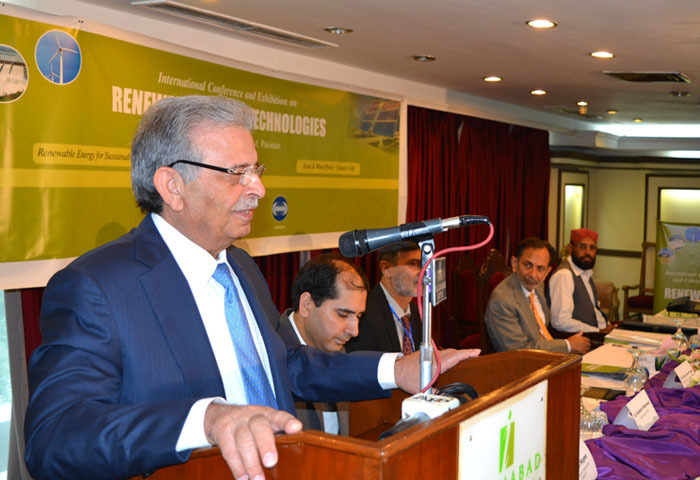 Noting the advancements in the field made by developed countries, he appreciated PCRET and COMSATS for coming together to organize the Conference in this field for the benefit of developing countries. At the close of the session, the honorable guests and foreign participants of the event received shields. 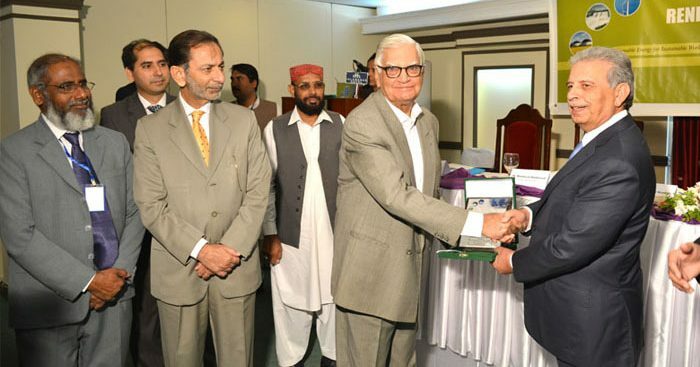 The distribution was started with honoring the eminent Pakistani scientist and Former Advisor to the Prime Minister of Pakistan for Strategic and Scientific Programmes, Dr. Ishfaq Ahmad, for his contributions to S&T. The 3-day conference in all has nine technical sessions and a poster exhibition session on important topics related to the theme of the event.